Shopping for Anything: Let's Get Some Trends and Fashion! Let's Get Some Trends and Fashion! It's TGIF again! I can't wait to go to another party tomorrow. It's my friend's husband's birthday and we are invited to attend the party. I can't wait to see some friends again and of course the food that are prepared in the party. I love food guys and no matter what people say, I will eat what I want. I also need to prepare the clothes that I will wear for tomorrow's celebration. I always go for a little fashion when going to a party. I was even browsing the net sometimes when I am looking for latest trends and fashion. I happened to browse last night a site called Open Fashion. I guess it is another good site for me to see the latest trends and fashion that is going on. It is a site that also offers shopping ideas for men and women, old and young and all people of all ages. You can Rate My Style if you happen to see some of the photos that I am sharing here. This is courtesy of Open Fashion and I love the styles that I see in this site. 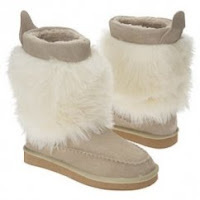 I also like this very nice Westie snow boots which I think a good one for wearing this coming winter season. I just found out that you can also join for free in Open Fashion. This can be a lot of fun meetings friends online who also love fashion. You can see above a beautiful photo of Ann Curtis, a model and actress from the Philippines. I love the color combination of here dress. Thanks to Open Fashion for sharing great ideas about latest fashion! For shopping and fashion trends, feel free to visit Open Fashion and browse their products. Have a great weekend ahead! I want you to request you to just add my link to any of your pages to help me gain some back links in my efforts to increase some visitors to my site, plz add my link at any of your pages my site can be use ful and in the same time interesting for your visitors in many aspects as it is related to the indian fashion and style and also about hot bollywood.